The Tesla Model S is an amazing feat of engineering, so why shouldn’t its sound system be one as well? We at NVX are proud to introduce the BE-TSLAS-VCW104 B.O.O.S.T. Series bass enclosure. This loaded enclosure was painstakingly designed by our in-house engineers to combat the lack of rich and deep bass commonly associated with the factory sound system. This is where our advanced B.O.O.S.T. Series subwoofer solution comes into play. Featuring our high-technology NVX VCW 104 subwoofer driver, this B.O.O.S.T. 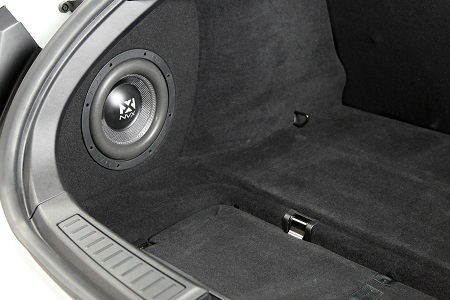 bass enclosure tucks into the corner of the trunk area without taking up valuable cargo space. The VCW 104's long excursion capability and power handling allow it to deliver acoustically accurate and extended low frequency output at any listening level. 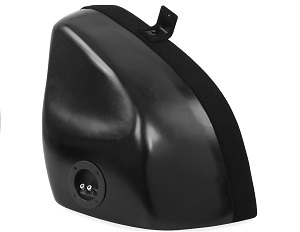 The BE-TSLAS-VCW104 sealed box is made from hand-laid fiberglass to create a lightweight, durable enclosure that is matched closely to your vehicles interior. It also features a Terminal Cup with spring loaded, Chrome-Plated binding posts for optimal connection and ease of installation. So there is no need to use solder. Pre-installed in the enclosure is our CEA Certified NVX VCW 104. This 10" Dual 4-ohm VCW Series Car Subwoofer has a Power Range (RMS) 600-750 watts wired to a 2 ohm mono load, giving you endless options for amps to power this amazing sub package. 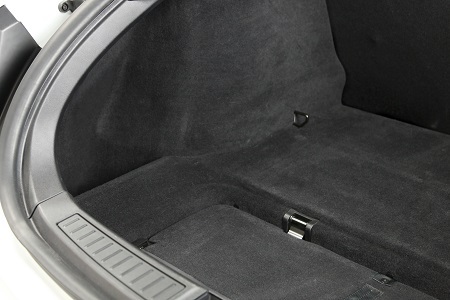 The Tesla Model S has a storage cubby on the left side of the trunk. Why not use it to store something you'll enjoy every drive. 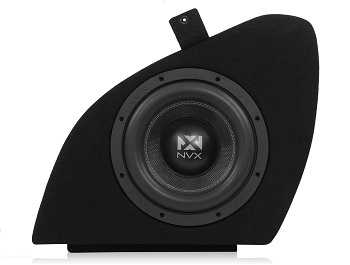 The NVX BE-TSLAS-VCW104 installed, looks factory and gives you that deep rich bass you've always wanted.